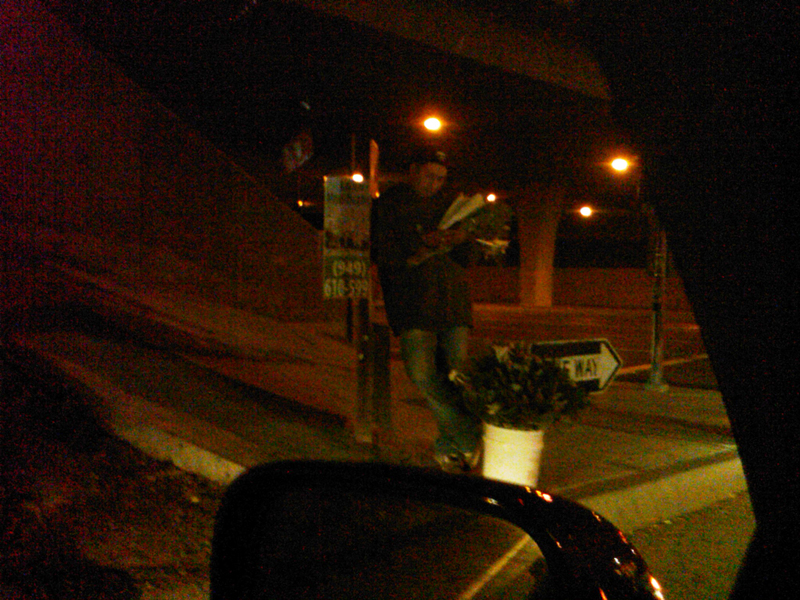 Well this is a change...the guy selling flowers by the freeway offramp now has a cell phone. It's hard to tell in this pic, but he's busy texting, and apparently too busy to try to sell me flowers that I'm going to reject. His boss isn't going to be happy when he finds out! Oh wait, he's self employed. Dang, he's self employed and making enough to have a cell phone plan? Maybe I should get into this business! He has a lot of plans for living and that is good if its really true. But people should be aware that others do a marketing strategy, however that is not the real deal.